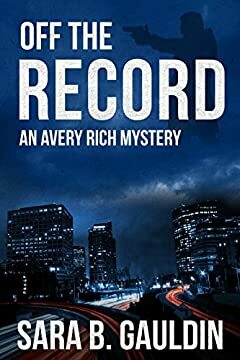 Driven and successful, Avery Rich can't wait to start her new job as a detective. But she is soon forced to keep her investigation "off the record" and gets paired with an unusual consultant. The world of crime and conspiracy takes on a dangerous edge as she finds herself dealing with kidnapped bankers, high stakes cover ups, and criminals who are determined to keep her quiet. To save herself from the unthinkable, she must sort out the conspiracy from the crime and find out who she can trust to finish the case before they can derail her investigation, permanently!